Two volumes bound as one (19 cm), I (nine parts, 1947-1950): 1 ([February] 1947): xvi, 1-64 pp. 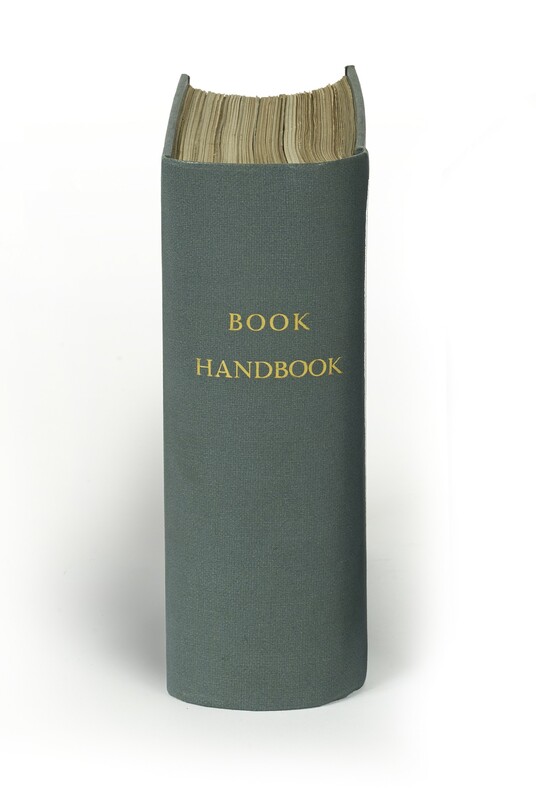 2 (1947): xvi, pp.65-112 [pp.113-126 (2) are bound after p.272; pp.129-176 are bound after p.476], and 2 folding plates. 3 (1947): xvi, pp.177-224. 4 (1947): xvi, pp.225-272. Supplement (1947): vi pp., two plates, (2) pp. (review by Jacob Blanck, reprinted from Publishers’ Weekly, 26 July 1947). 5 (1948): xvi, pp.273-320, and folding plate. 6 (1948): xvi, pp.321-368, and folding plate. 7 (1948): xvi, pp.369-416. 8-9 (1950): xvi, pp.417-476. Volume 2 (in four parts, 1951-1952). 1 (1951): xiv, 50 pp. 2 (1951): xiv, pp.51-104. 3 (September 1951): xiv, pp.105-162. 4 (December 1951-March 1952): xiv, pp.163-216. Index (): pp.477-484 (2), iv. Bound in blue buckram (upper wrappers are bound in place; lower wrappers have been discarded). 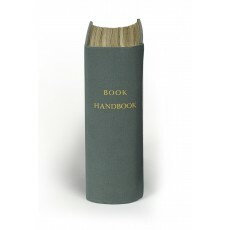 - Edited by Reginald Horrox, a cataloguer at Sotheby’s, later editor of Book-prices Current. Publication began in February 1947 “when there was not enough coal or electricity to work the printing machines. Some power was supplied by hand and some by means of a trailer-pump, which had been used during the war to pump water into the fires caused by the Germans in their air raids. The first six parts were printed on rationed paper by the Broadwater Press Ltd., of Welwyn Garden City; the other three parts… were printed by Messrs W.S. Cowell Ltd., of Ipswich”. The second volume appeared under the imprint of The Dropmore Press, a venture of the newspaper proprietor Viscount Kemsley of Dropmore. In late 1951 The Dropmore Press was revamped as The Queen Anne Press, with Ian Fleming, Percy Muir and John Hayward as directors; and Book Handbook was revamped as The Book Collector, with the same three men serving as editors. ¶ Occasional discreet ink notation (denoting a catalogue received); otherwise unmarked, and in fine state of preservation.